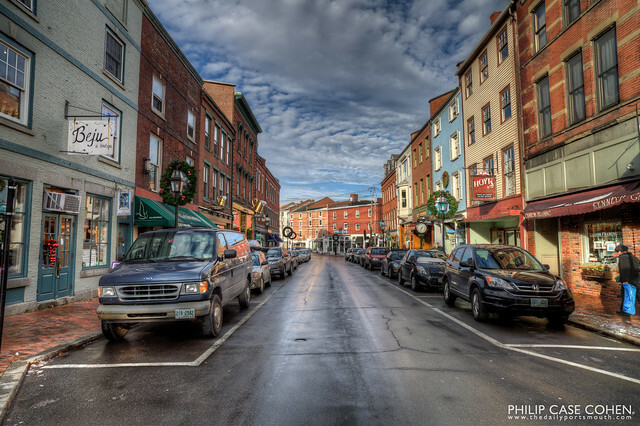 I think the view down Market Street is one of the coolest streetscapes in Portsmouth. It’s not often that the traffic is mild enough during the day to stop in the crosswalk to snap a few images. This particular shot was handheld and consists of 3 exposures…I didn’t have time for much more, as a car turned the corner seconds after this was taken….so a tripod setup is basically out of the question. For everyone in Portsmouth, enjoy the insanity of the blizzard I’ve been hearing about – it should make for an interesting downtown…with awesome opportunity to take photos and hopefully quiet streets. As I’m still in Florida after the holiday, I’ll have to live vicariously through everyone for a few more days. Stay safe and enjoy some hot chocolate!